The response of a watershed to produce runoff after rain event depends on the characteristics of the basin. This characteristic is peculiar to every basin and varies depending on the type of rock, geology, soil, climatic belt, and extent of anthropogenic activities. Information regarding these controlling factors is vital for a sustainable management of the basin. However, many of the watersheds especially in the developing world lack the basic facilities for acquiring the runoff data or other basin’s response to rainfall event like sediment yield. The simplest approach to obtaining such information is via the morphometric parameters of the basin. This necessitated the need for this study. The study carried out a morphometric analysis of the Idemili Basin in southeastern Nigeria by employing geospatial tools in ArcMap to investigate the basin’s characteristics. The basin is a fourth-order basin with a rectilinear drainage pattern. The shape parameters indicate a pear-shaped basin. The mean bifurcation ratio indicates the basin developed in a hilly terrain with somewhat geologic influences over time as it developed on a weak, porous sandstone. Intensive watershed management is needed in the basin to ensure the sustainability of the basin and its ecosystem. 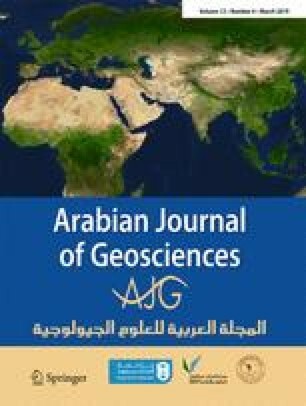 The study also demonstrates that geospatial techniques and the digital elevation model are vital tools for watershed characterisation especially in data-scarce regions. Many thanks go to my supervisor, Mr. A. T. Mozie, for his guidance throughout the duration of the project from which this piece is a product. The NsukkaUSA Inc. is highly appreciated for financially supporting the project.